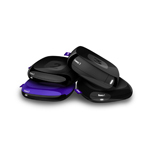 "Roku Partners with M-GO to Bring Instant Access to Movies and TV Shows"
SARATOGA, Calif.--(BUSINESS WIRE)--Roku® Inc. today announced an all-new family of streaming players. Designed to provide a better TV experience for every streaming fan, the new Roku LT, Roku 1 and Roku 2 players give consumers more useful features – whether it’s the ability to turn up a late-night flick without waking the kids or search quickly for the latest movie – that let them focus on enjoying their entertainment. The new Roku LT player will be available in the U.S. while the Roku 1 and Roku 2 players will be available in the U.S., Canada, the U.K. and the Republic of Ireland. The flagship Roku 3 player which launched in the U.S. in March is now also available in all of these countries. The new Roku LT, Roku 1 and Roku 2 players along with the Roku 3 provide access to the Roku Channel Store which features a broad selection of streaming entertainment – currently at more than 1,000 channels in the U.S. and at more than 450 channels each in Canada, the UK, and the Republic of Ireland. The new Roku LT is the easiest and most affordable way to stream to virtually any TV with support for up to 720p HD video quality. The Roku 1 takes streaming a step further than the Roku LT with support for up to 1080p HD video quality. The Roku 2 offers the same great experience as the Roku 1 and features a remote with built-in headphone jack for private listening and dual-band wireless for better Internet connectivity. Both are popular features that were previously available only with the Roku 3. 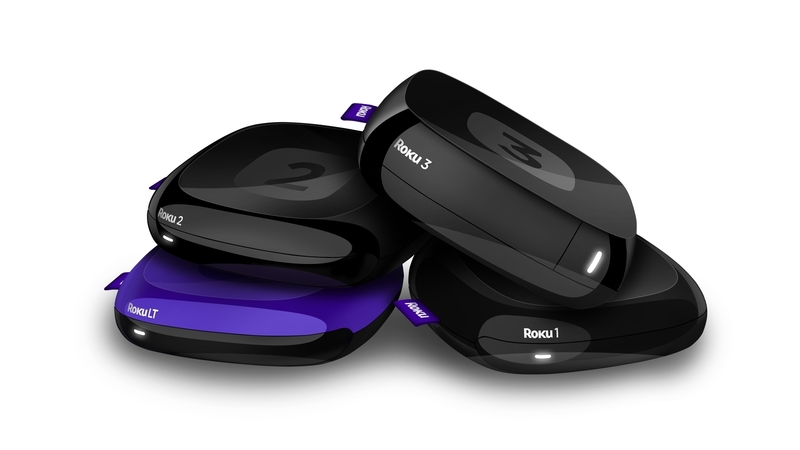 Leading the family is the flagship Roku 3 which launched in the U.S. in March. The fastest-and-most-powerful Roku player to date, Roku 3 sets the bar for streaming with all the features of the Roku 2 plus Ethernet and USB ports and an enhanced remote with built-in headphone jack and motion-control for gaming. For even more entertainment options, Roku’s free apps for iOS® and Android™ devices transform a phone or tablet into the ultimate Roku command center. In addition, the Play on Roku feature lets consumers stream their personal music, video and photos to a Roku player. In other news today, Roku also announced “Roku Partners with M-GO to Bring Instant Access to Movies and TV Shows” in the U.S. In the U.S., the new Roku LT (model 2700), Roku 1 and Roku 2 players are available for pre-order now for suggested retail prices of $49.99, $59.99 and $79.99, respectively at Roku.com and are expected to be available in retail stores beginning in October. In Canada, the Roku 3 is available now for a suggested retail price of $109.99 in retail stores. The Roku 1 and Roku 2 players are available for pre-order now for suggested retail prices of $69.99 and $89.99 respectively at Roku.ca and are expected to be available in retail stores beginning in October. In the U.K. and the Republic of Ireland, the Roku 3 is available now for a suggested retail price of £99.99 at Roku.co.uk and in retail stores. The Roku 1 and Roku 2 players are expected to be available for suggested retail prices of £59.99 and £79.99 respectively at Roku.co.uk and in retail stores beginning in October. Roku is the creator of the most popular streaming software platform for delivering video, music and casual games to the TV. Roku launched the first device to stream Netflix to the TV in 2008, and since then has sold more than 5 million Roku streaming players in the U.S. Roku players are also available in Canada, the U.K. and the Republic of Ireland. In addition, Roku works with OEMs who create Roku Ready™ devices which access the Roku streaming platform. Roku Ready devices can be purchased from major retailers in the U.S. Roku was founded by Anthony Wood, inventor of the DVR. Roku is privately held and headquartered in Saratoga, Calif., U.S. For more information or to purchase directly from Roku, visit www.roku.com.